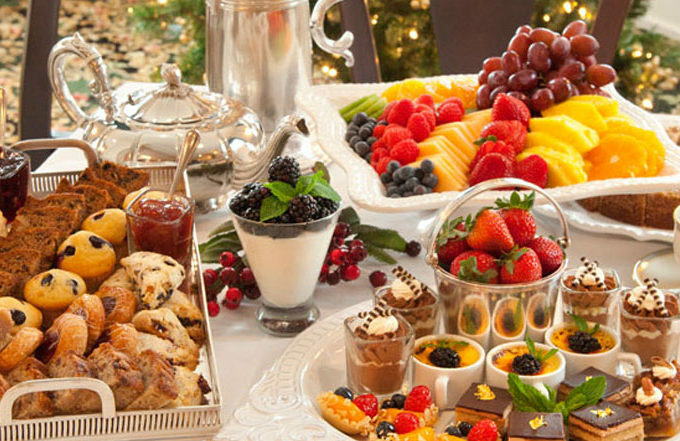 Versatility makes food exciting and tempting. 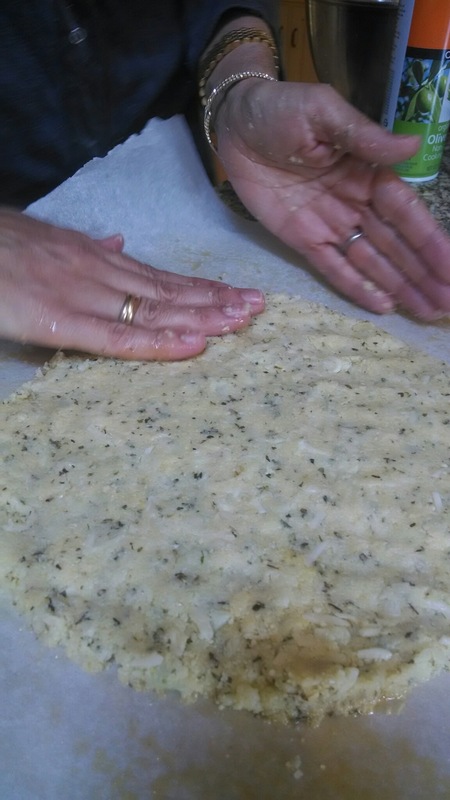 In this post, I want to share a creative way to prepare cauliflower, by essentially making a dough from cauliflower florets. The dough can serve as the basis for many purposes, and in this instance, I’m making pizza. 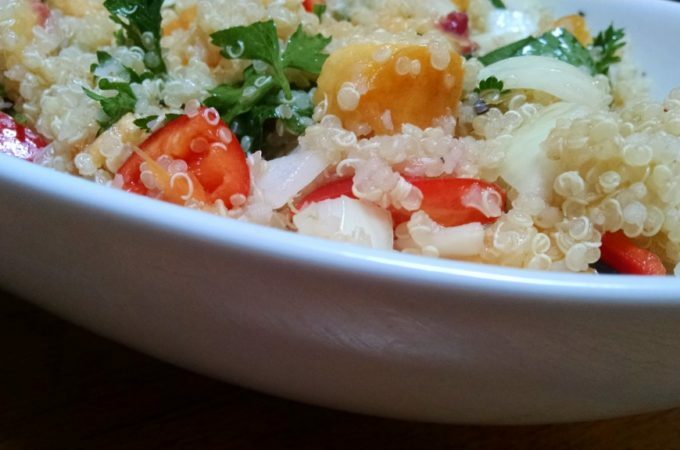 Ok, I know you are skeptical, but I have shared this dish with many friends and they all say the same thing…its delicious and a little hard to believe. Cauliflower is a cruciferous vegetable, and is also known as brassica. 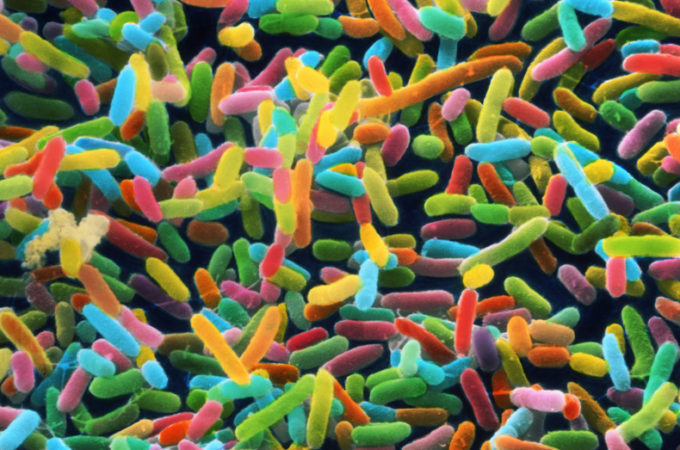 Other vegetables in this family are cabbage, broccoli, brussel sprouts and horseradish. Vegetables in this family are full of B vitamins, omega-3 fatty acids and vitamin K, and also felt to serve as a powerful source of antioxidants and nutrients with anti-inflammatory benefits and anticancer properties. Because of these properties, incorporating cauliflower into your diet is a worthwhile proposition and this recipe can serve as a remarkable main course. 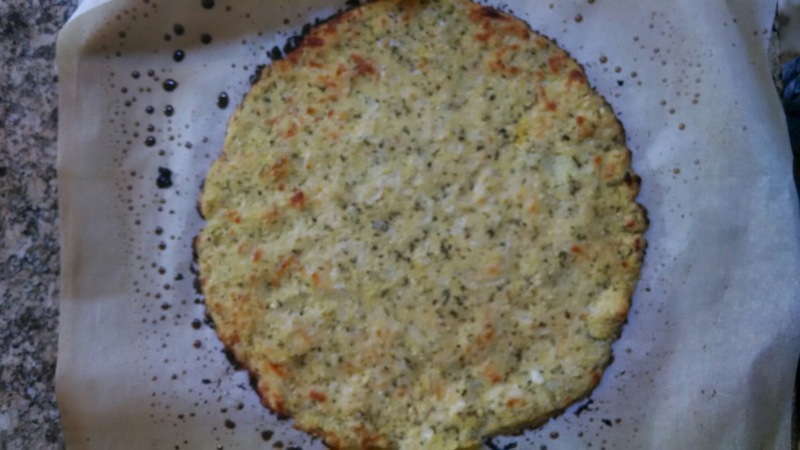 Making a caulifower pizza crust is a lot of fun and a great way to get aspiring cooks into the kitchen to transform a head of cauliflower into an Italian, vegetarian and gluten-free delight! Here is an abbreviated account of the process, followed by the complete recipe. Good luck! Please let me know how it works for you! 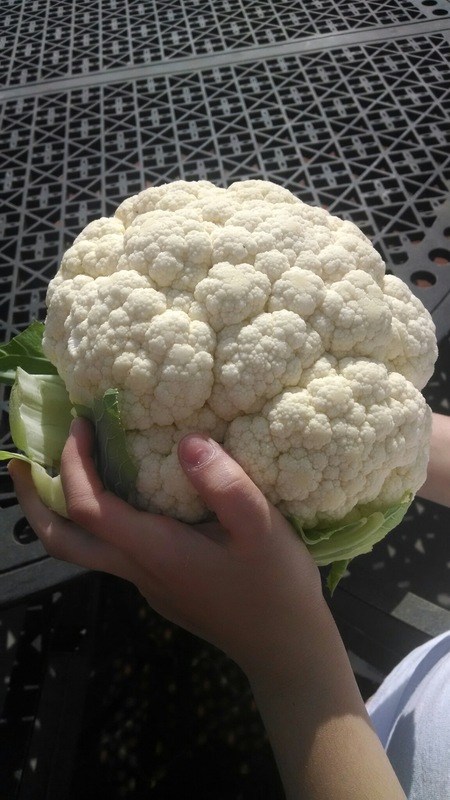 Start with a large head of cauliflower. Although you will only use the florets for this recipe, the stems are delicious steamed with garlic and kosher salt. This is what the florets looks like after they are chopped in the food processor, almost like fine snow. 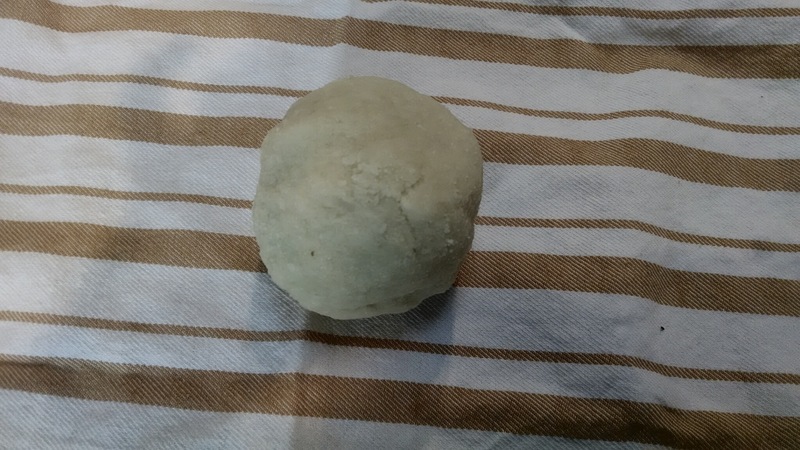 The ball of dough looks very similar to regular dough. I’m pressing the ball of dough onto greased parchment paper in preparation to bake. A fine cauliflower crust! Ready for the toppings! The finished product. You can use whatever pizza topping you choose. Here is the recipe! Enjoy! This is a delicious way to transform a head of cauliflower into a vegetarian, gluten free treat. 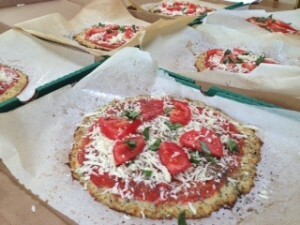 It tastes delicious and is hard to believe that this pizza is made from cauliflower. 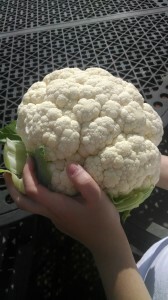 Cut florets from head of cauliflower. Place into flood processor and pulse into fine granular consistency. Place into microwaveable bowl and microwave on high for 4½ minutes. 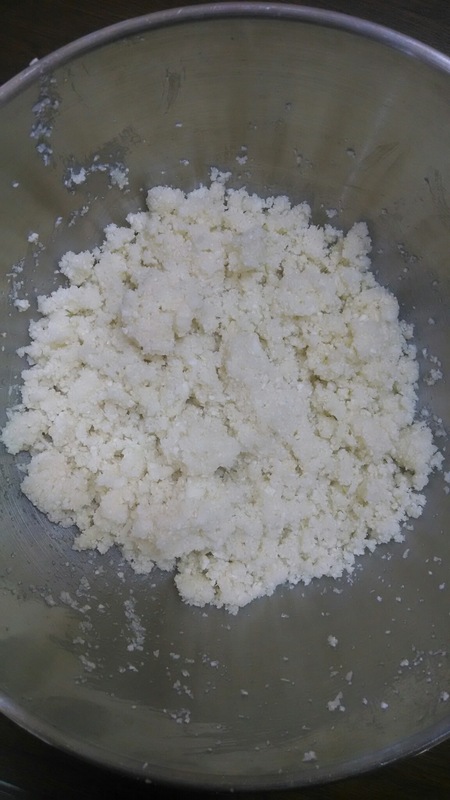 Place cauliflower into clean towel and wring about excess liquid, This takes a little elbow grease and you could yield up to a half cup of liquid. 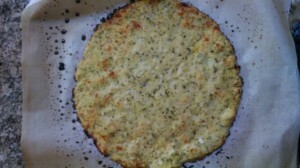 Make sure cauliflower is adequately cooled for this. Put remaining cauliflower in bowl with mozzarella cheese, parmesan cheese, spices, olice oil, garlic powder, salt, pepper and mix well. Add eggs and knead into a balls of dough about 3 inches in diameter. A three inch ball will make a 10 inch pizza. You will probably have enough four 3 pizzas. Place parchment paper on baking sheet and spray with non-stick spray. Bake for 10-12 minutes until crust slightly browns. 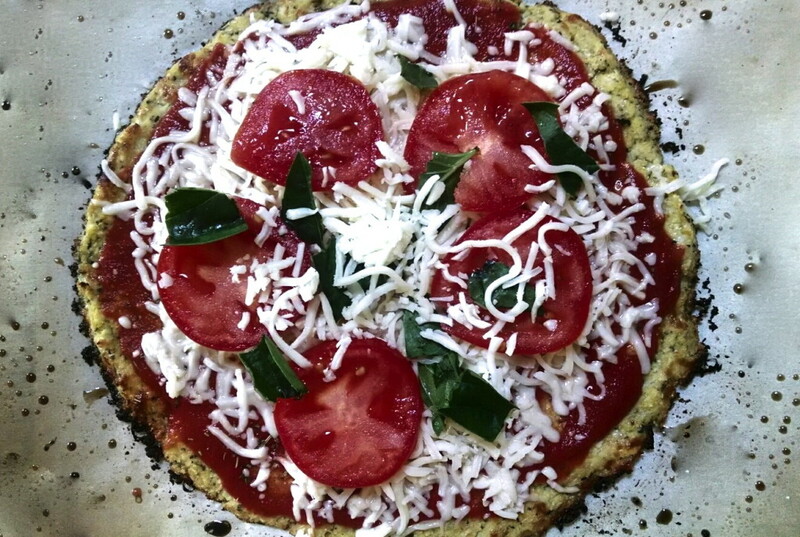 Top with tomato sauce, mozarella cheese, sliced tomatoes, and basil. Sprinkle with Italian herbs. Place back into oven and bake until cheese melts and bubbles, about 8 minutes. Cool and enjoy. Repeat until all dough used. 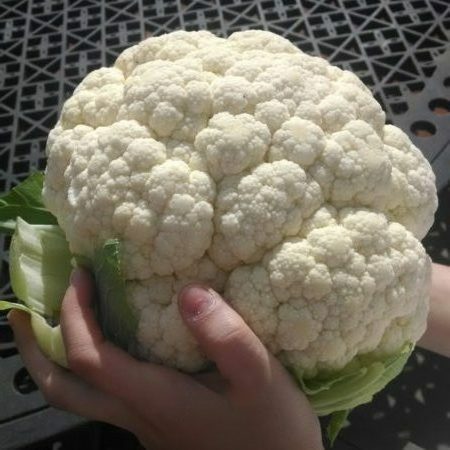 A large cauliflower head could yield up to 3 pizzas.